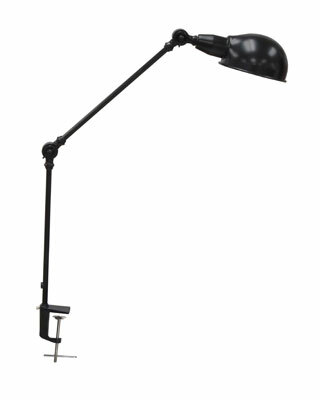 The antique and functional design of the Retro Lamp complements any traditional workspace. It features a 37" elbow-jointed arm that locks securely in place and universal clamp that mounts to any Studio Designs table. Approved for up to a 60 Watt incandescent bulb. A 13 Watt CFL bulb included.